Here is the promised conclusion to: The Ones Who Walk Away From Washington. At the end of part one, you may recall, I decided to withdraw from politics, to no longer throw my weight with one side, argue the issues, etc. 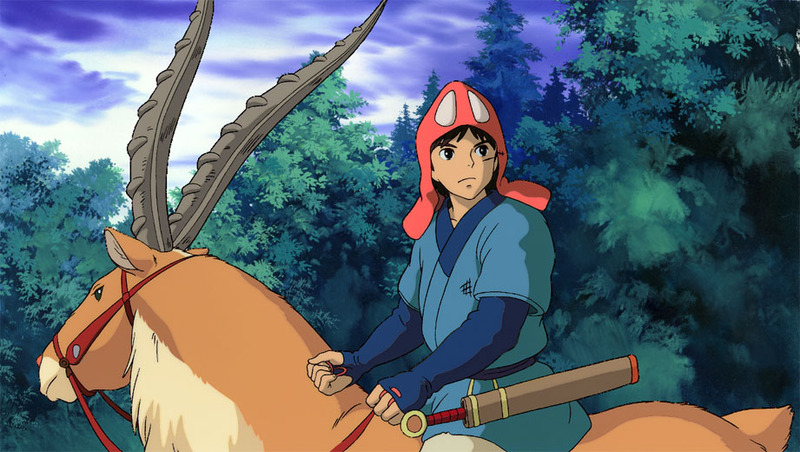 Some (or all) of you may be familiar with the movie Princess Mononoke, from the fabulous Japanese animator Miyazaki. In it, a young man is sent by his tribe to observe a struggle between humans and nature (represented in the movie by huge beast-gods who inhabited the forest the humans need to cut down if they are to mine the iron ore they need to survive.) The young man, Ashitaka, is told to go and observe the struggle “with eyes unclouded by hate.” To look and see the needs and shortcomings of both sides without prejudice. Well, this is what began to happen to me. I began to listen more closely to both the Liberals and Conservatives I knew, and I discovered something astonishing: they were not even talking about the same subjects! Oh, they were certainly arguing about conflicting conclusions, but those conclusions stemmed from entirely different premises. The result of this was that nothing either side said to their opponents was persuasive, because they were never addressing the issue that caused their opponent to take his stance in the first place. Let’s take war. Say a war is brewing and there are some good arguments for going forward and some good arguments for holding back. The Conservative looks at the world, and he sees a challenge that needs facing. Something daunting is on the horizon, but he knows that sometimes you need to take a stand for Right. You need to be brave and willing to face the fire to protect what it is that you value in life. Sometime violence is necessary. You’ve got to punch the bully back, or he will just keep bullying you. What is called for in this situation, then is courage. Only those who lack this quality would not be willing to do what needs to be done. The Liberal looks at the world, and he sees how often violence is misplaced. How applying force can damage or break something that would flourish so much better with an application of patience and hard work. True violence tends to produce a quicker outcome, but the long term effects are often messy and much worse than the problem was to begin with. All this is so clear, if one merely takes the time to look at it. Only those who are too slow-witted to comprehend these simple truths could think otherwise. I could give other examples. (Clinton’s impeachment – the sanctity of the law (no perjury) vs. the right to privacy (i.e. “they should not have asked that question to begin with.”) In each case, the concern of the Left differs from the concern of the Right. All this reminded me of an experience I had years ago. Back in high school – junior year Social Studies, we were studying American History. Each time a new time period came up, I had a lot to say about what was happening at the time did another member of the class, a young man known as Misha the Commie. Now, Misha (who looked nothing like Misha Collins…sorry, Ladies) was known as a Commie, not because of his politics, but because he had a Russian name and a red mailbox. As far as his politics went, Misha was to the right of Archie Bunker. What happened that year has always fascinated me. Back then, I was a Liberal, and no matter what subject came up, Misha and I were on opposite sides. Banking, slaves, immigration; we were always instantly at loggerheads. Even when the subject was completely different from what we had discussed before – a subject I had never encountered before. Never had an opinion about before – Misha and I were still on opposite sides. Seventeen-year-old me found this mind-boggling. Since I was only aware of my individual opinions, not of the principles that informed my beliefs, I kept expecting that sooner or later, Misha and I would agree on something. I look around today and I see many of my friends are filled with hatred toward members of their political opposition – as if these people are robbing all the good from the world and about to bring about the fall of civilization. Conservatives bemoan that all the decency of Western Christian culture has been lost, and we are assuredly heading for a godless and lawless tomorrow, while Liberals assure me that the Fundamentalist Christians have won and we are on the verge of being forced to live in a totalitarian religious state. Both of these people cannot be right. The reason for it, of course, is that each side sees the success of the other side as a sign of the triumph of the vice they abhor. Conservatives think that cowards are taking over and ruling the country, while Liberals think that we are now under the thumb of the ignorant and hateful. Like Ashitaka, who had little power to sway either side of the struggle he was observing, there is not a great deal I can currently do with these observations. I try to gently share the opinion of the other side with those around me, but often they are too bitter or too fearful to listen clearly. My one hope is that some of what I have learned will someday trickle into my writing, to help me better shape the characters I write about, and maybe through that medium, some reader might be led to have a better and more compassionate understanding of his fellow man. What is disconcerting about both camps is that neither is willing to entertain deviation from a taken position. All is black and white. Gray is the enemy of all rather than being a starting point for understanding. It's very uncomfortable for the person who wishes to listen to all views and make an informed decision without backing the "left" or "right" view. Trying to be nonpartisan ends up being in opposition to the carefully constructed sides. I think a friend of mine who is studying Jungian psychology put her finger on why. The ideas that people have feel like truth. The ideas that counter these ideas feel like lies, horror, falseness. People often have a 'lies/falseness' feeling about the issues that are not the ones that ring true with them. So they both feel as if they are battling for existence itself.